Consumers placing orders for the newly-release DJI Mavic Air can now preorder the PolarPro accessories to take their aerial filmmaking to the next level. "Anyone who is looking to create videos with more cinematic qualities from their new Mavic Air, needs specific tools to achieve that particular look,” said Austen Butler, VP and Co-Founder of PolarPro. PolarPro, developer of products inspired by adventure, announced today it is opening preorders for its newly designed line of DJI Mavic Air Filters. Known for producing some of the industry’s highest quality lens filters for pilots looking to maximize the cinematic aspects of their drone video, PolarPro is now offering polarized, neutral density and UV filters to help Mavic Air pilots improve overall color saturation and control shutter speed. Additionally, PolarPro’s Mavic Air line includes landing gear, handheld mounts for shooting from the ground and other workflow-streamlining accessories that have been adapted to DJI’s latest drone model. PolarPro anticipates preorders will begin to ship by early February 2018, here is the full range of DJI Mavic Air Accessories. 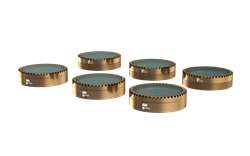 For any drone pilot looking to ensure the best possible quality from their aerial video, no accessory is more important than a set of high quality lens filters. PolarPro offers a series of Mavic Air Filter Packs which include combinations of commonly used polarizing lenses (PL) for enhancing color saturation, UV filters for reducing haze and glare, as well as a substantial lineup of all-important neutral density (ND) filters and hybrid polarizing/ND filters for slowing shutter speeds to achieve cinematic looks. PolarPro uses lightweight yet durable AirFrame Aluminum, producing filters that weigh just .59 grams. Combined with industry-leading Cinema Series glass and coatings for razor sharp clarity, PolarPro filters work seamlessly with the Mavic Air camera gimbal for uninhibited performance. With some expensive and delicate components, the Mavic Air needs to be properly protected when traveling to shooting locations or stored away in-between shoots. PolarPro has designed two Mavic Air Cases to suit the needs of most users. ● Minimalist Edition ($29.99): This custom molded soft-shell case takes up the least amount of space in a pack. Featuring customizable dividers, the Minimalist Edition has space for the Mavic Air, three extra batteries, remote, charger, charging hub and filters. 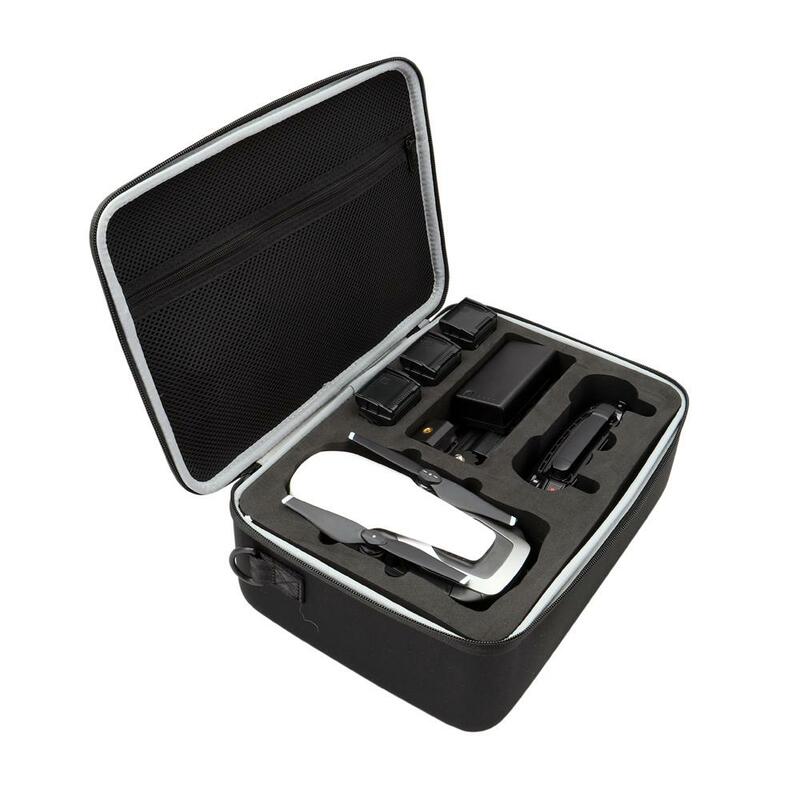 ● Rugged Edition ($49.99): Designed with a laser cut foam insert to act as a shock absorber, the Rugged Edition snugly holds the Mavic Air, four extra batteries, remote, charger, charging hub, filters and cables. A removable shoulder strap is included for added carrying configurations. The Katana Mavic Air Tray ($49.99), and even more dynamic Mavic Air Katana Pro, are essentially force multipliers for the UAV. The drone’s compact size and high-quality imaging capabilities make it a great filming platform for just about any situation, and with a little help from the PolarPro Katana it can become a powerful handheld shooting camera as well. Ideal for capturing ground-based footage, the Katana allows pilots to still shoot in no-fly zones such as national parks where drones are banned. The Katana Tray is crafted from durable glass-filled nylon and feature two sturdy grips on either side of the clamping mount that holds the drone securely in position. 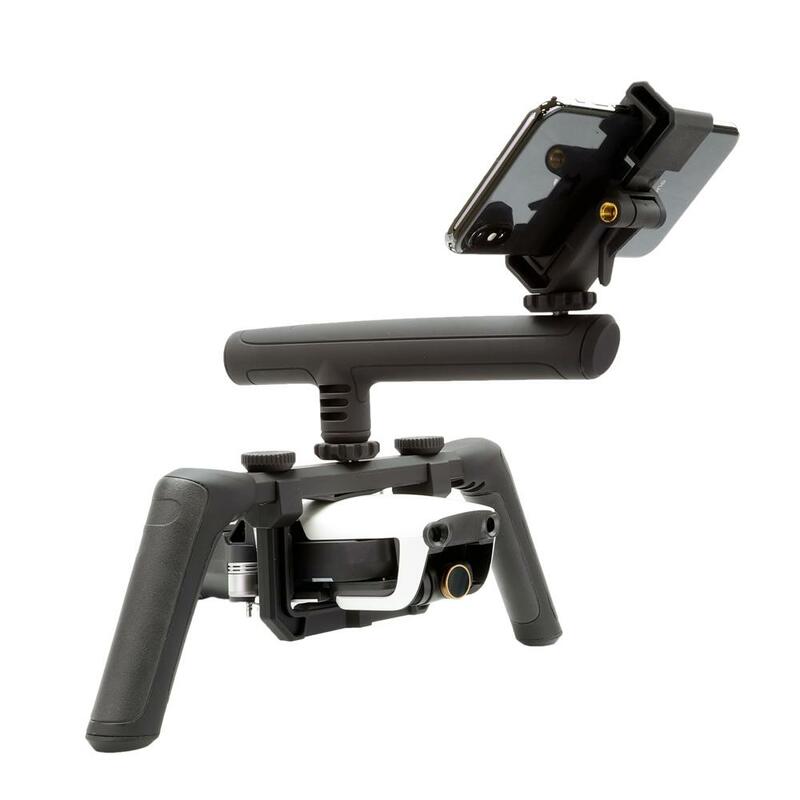 The Katana Pro also features a T-Grip enabling one-handed and low angle camera control. Each version includes an integrated smartphone mount that lets users utilize the drone’s companion app for framing and camera controls. For more information about these and other new PolarPro solutions for the Mavic Air, including individual anticipated ship dates, please visit: https://www.polarprofilters.com/collections/dji-mavic-air-filters-and-accessories. Founded on the simple mission to design products that inspire people to get out and explore the world, PolarPro designs by adventure, for adventure. With headquarters in Costa Mesa, CA, its team of adventurers and cinematographers aim to develop products inspired by real experiences that solve real problems. Since launching its flagship action camera filters in 2011, PolarPro has realized explosive growth with a diverse product catalog for urban and off-grid adventurers alike. For more information on PolarPro, please visit http://polarpro.com, or follow the brand on Facebook, Instagram, Twitter, and YouTube.